So you might have heard about my Palmolive Fresh Infusions that I received from Influenster the other day... but now you get my review! If I haven't made it clear, my favorite scent is Lime Basil. Just the Lime and Basil together makes it awesome. Who doesn't love a little extra lime in their drink or life? Whichever. But all the scents are great and not like the normal dish soap smell you get time after time. Like summer in a bottle. Which is perfect for this frigid air we got going on over here. Sister even got her own...Ginger White Tea. She loves floral scents so I knew even though it was my least favorite it would be her favorite. She enjoyed the nice scent and the amount of bang for her buck. We are all savers in this family. Now down to the nitty gritty..literally. The fiance and I have a hard time remember to use non-stick spray or oil sometimes when we cook. Therefore, we tend to have burnt pan bottoms. We will get better I promise. Most dish soaps it takes awhile to clean and I have gone from Gain, to Dial to Dawn but recently found Palmolive Oxy which actually worked. 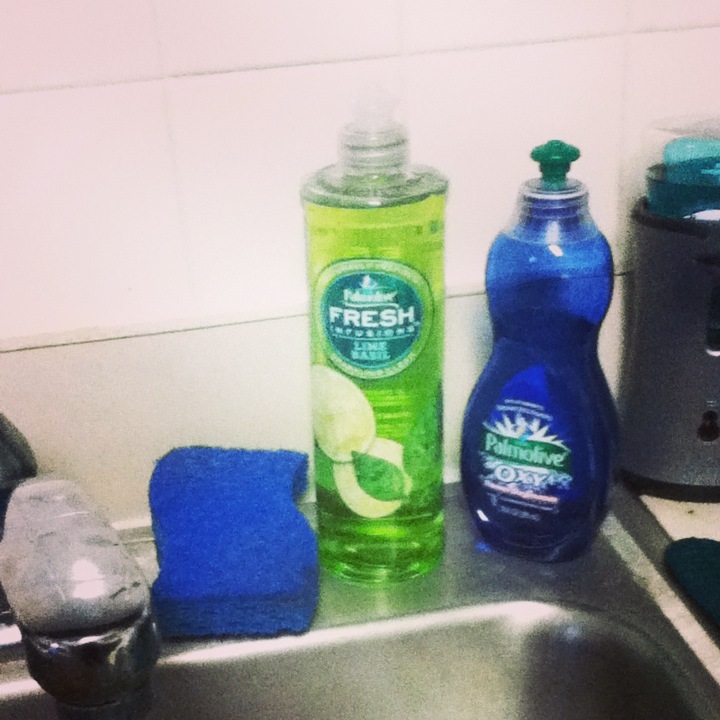 So what could be more perfect then another Palmolive that smells like summer in a bottle?! Nothing. Because it gets the job done. Grease, burnt messes...gone! And the bonus? It makes your hands feel great. I mean great. No dry, stiff feeling you usually get after washing your dishes. And I have my fair share of skin issues on my hands and it hasn't caused any worse of dry skin. Win win if you ask me. And the hot fudge on top of the bonus?? You get a 16 oz. beautifully decorated bottle for $2.96. Yes, $2.96. That is a whole lot of awesome dish soap for a little bit price. And I know from crunching pennies and wedding saving. And how about the cherry on top of the hot fudge on top of the bonus?? Look, so pretty! So please do a me a favor. At least go and try this. You will not regret your decision. I so promise you. You can learn more about Palmolive Fresh Infusions at the Palmolive website. You can pick one up at Wal-Mart! I love things that smell like summer!